A huge thank you from the bottom of my heart goes to my very dear friend and mentor Helen Metcalf of Lynanmar Birmans. 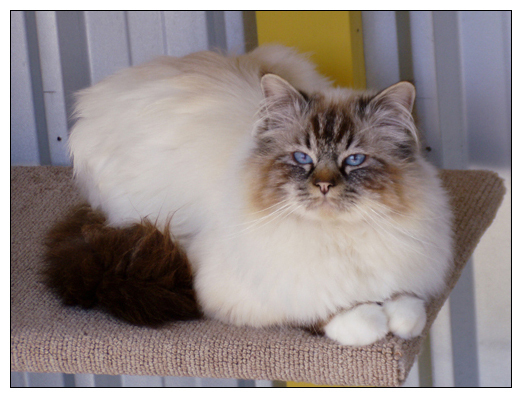 Our first foundation stud was bred by Helen – Double Grand Champion Lynanmar Beau Jangles – a gorgeous Seal Point boy. He was a pleasure to own and show and did us proud on the show bench, always placing in the top 5. ‘Beau’ has now retired from breeding and showing. ‘Tazy’ was our 2nd foundation Stud bred by Helen. He went onto produce some gorgeous bir-babies and even today some of his progeny play a huge part in our breeding program with 2 of his granddaughters actively being shown and bred here. ‘Tazy’ is now retired from breeding and showing.